In order to view pre and post market data you will need to be subscribed to real-time US stock data, pre and post market data is only visible on intra-day timeframes. 1. 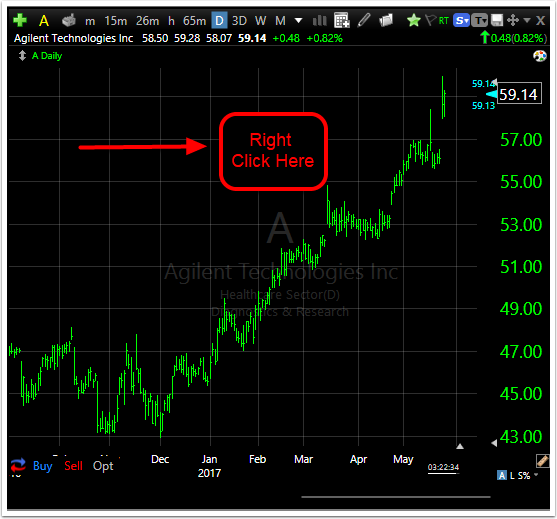 Right click anywhere on the chart template. 2. Select Edit Chart Properties. 4. 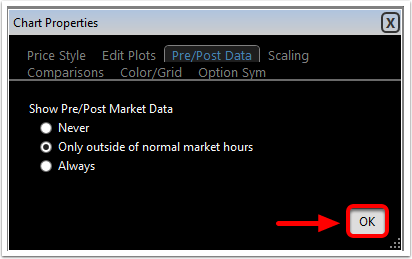 Select when you would like Pre/Post market data to be visible. Never: This will never show pre/post market data. 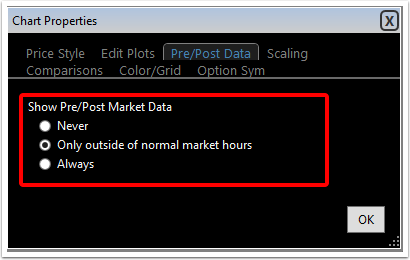 Show outside of normal market hours : Default, only shows pre/post trades outside normal market hours. Always: Will show all of the most recent pre/post trades. 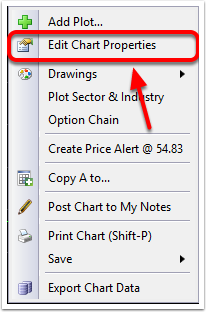 The pre/post-market data selection is specific to each individual chart template. 5. Select OK to finalize your choice.